The Hydrostatic Level Sensor from Fischer Germany is a robust sensor to measure the level of liquids in wells, tanks, raw sewage tanks, waste water systems etc. The Hydrostatic Level Sensor NB10 is available with various analogue outputs to suit all BMCS/PLC systems, 0-20mA or 4-20mA over a 3 wire or 2 wire connection respectively are available. 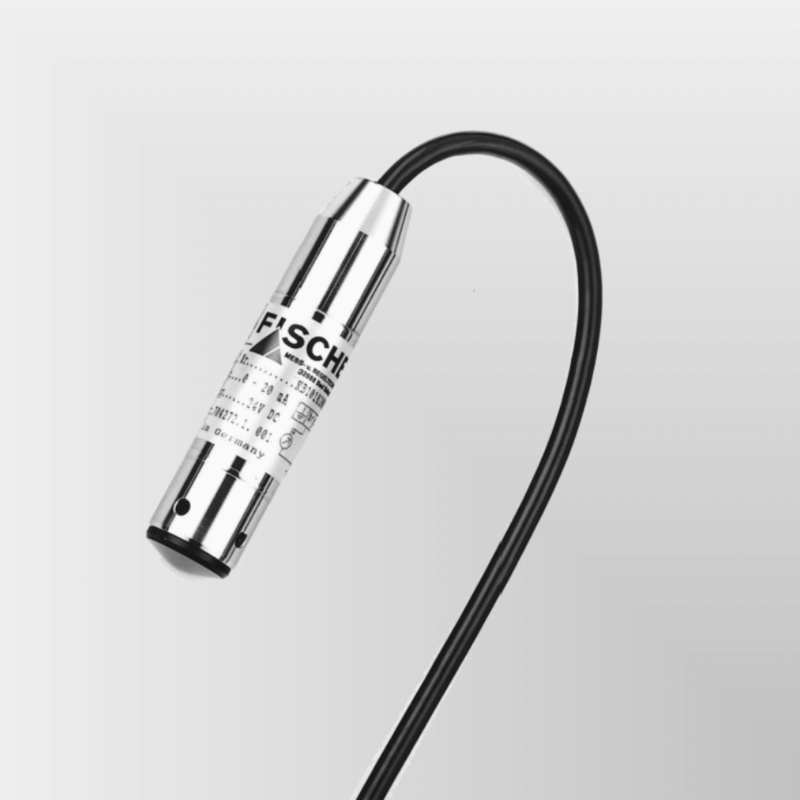 The Hydrostatic Level Sensor can be ordered for any tank with a depth of a maximum of 250m, with extra connection cable to suit your requirements. Special models of the Hydrostatic Level Sensor are available with overload protection (lighting arrester) or for explosive & hazardous locations.